Golden brass MARC by Marc Jacobs necklace. 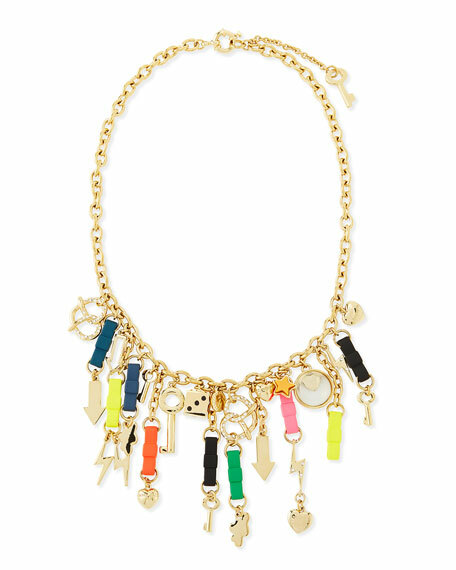 Cable chain with silicone bow ties, pretzel/lightning/arrow/key/dice/heart charms detailed with enamels, crystals, and paper. Spring ring clasp with extender and key charm. Approx. 18"L with 3" drops.